Uzbekistan, one of the promising components of the former Soviet Union, is continually boondoggled by reports of serious human rights infractions. For students passionate on topics related to Eastern European/Eurasian affairs, the Uzbekistan situation affords an intriguing study in managing instability. For interested academics, common disciplines include Uzbek language and culture studies, socio-political curriculum, international affairs, law and education. International politics and business are increasingly visible programs on college campuses, as the economic marketplace shifts to a global paradigm, and sovereign conflicts erupt worldwide. As a result, financial aid is available to students whose academic pursuits include international studies. Programs are unique, each with its own objective and regional emphasis, but students earning educational credentials related to former Eastern Bloc countries are not left out in the cold. The National Security Education Program funds international education through initiatives like David L. Boren Scholarships. The scholarships were funded by legislation led by Mr. Boren, during his tenure as a Senator. The stated purpose of the effort is to increase American expertise in foreign languages and cultures, facilitating national security and greater understanding of certain regions. The program includes undergraduate and graduate assistance and successful candidates are culled from thousands who apply annually. This is an extremely competitive scholarship that is not given without obligation: Recipients are expected to work for at least a year, for the U.S. government, following graduation. Of course, preference is given to those who are interested in long-term careers in national security. 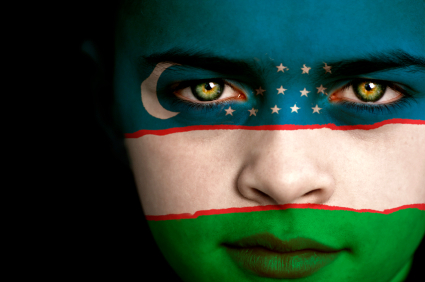 Students who study Uzbekistan are eligible for up to $25,000 each. American Councils for International Education is globally committed to providing opportunities for Western scholars to meet their Eastern European counterparts. Organizations like AC build new networks of knowledge that effect international change. Stemming from the Title VIII program, the American Councils are able to offer valuable scholarship programs. The Title VIII Special Initiatives Fellowship Program metes out a generous $35,000 for advanced scholars heading off to complete studies in Uzbekistan and other Eastern European countries. Individual Advanced Research Opportunities Fellowships are highly competitive among graduate, post-graduate and post-doctoral scholars engaged in research activities in Uzbekistan and other Eastern European countries. Applicants must be pursuing Master’s degrees or higher, to qualify for funding that covers expenses for up to a full academic year. IREX Short Term Travel Fellowships provide awards worth $5,000 each, to scholars who can show highly defined projects, that are easily managed within the scope of a couple months working on-location in Uzbekistan.